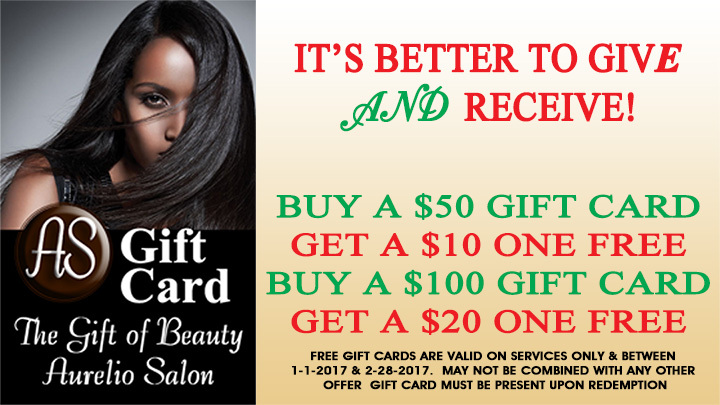 Aurelio Salon is Helping you with your Holiday Shopping! Give the Gift of Beauty! Buy one Gift Card and get one Free to be used in January and February. One for your loved one and one for you! Now till the end of the year! On November 30 from 6-9 Aurelio Salon will be holding its first ever Grab Bag Equation Event! Stop in to any location and reserve your spot, even if you can’t make it that night. You will receive your pick of $40 in KMS products, a free travel size hairspray, entrance into our raffle, see winter trends in hair and makeup, enjoy fiends, appetizers, drinks and get a grab bag prize! 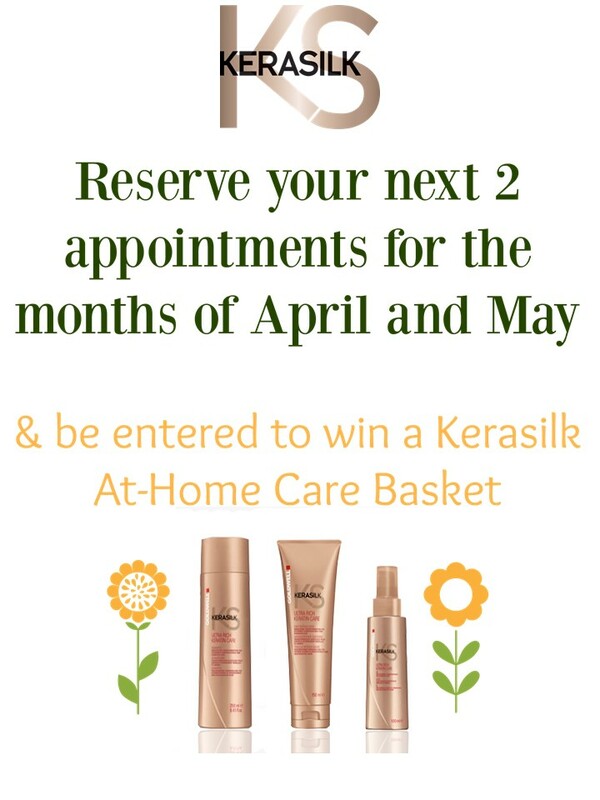 Call the salon Now at 732-303-0052 to reserve your bag before they are all gone! 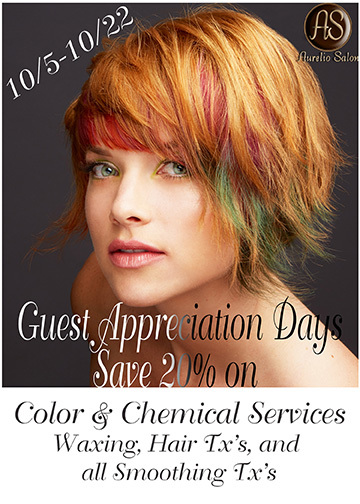 Save 20% on Color & Chemical Services! OPEN SUNDAY 10/9 and 10/16 For our Guest Appreciation Days! 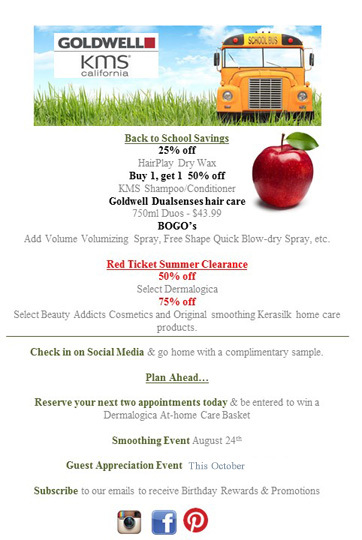 Save 20% on Hair color, High-lights, Low-lights, Hair Taming Systems, Waxing, and Hair treatments! Makeup Event of the Year! 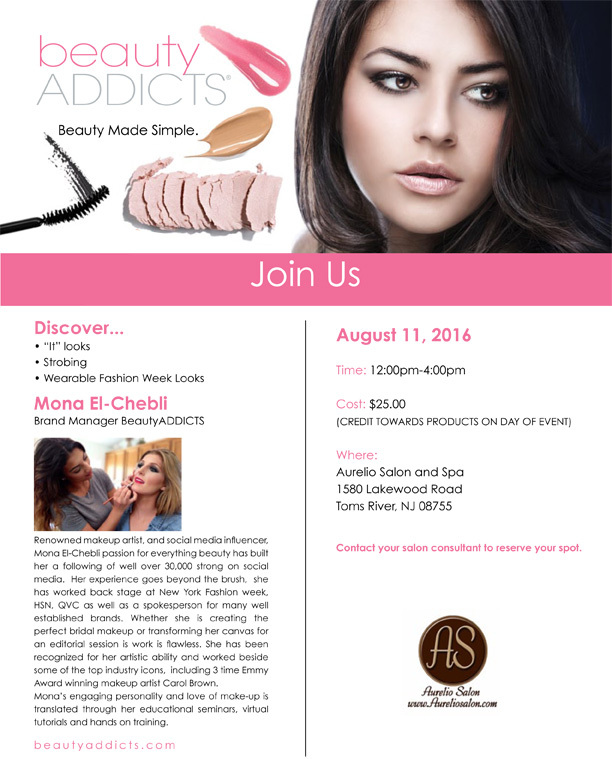 Join us August 11,2016 in our Toms River Location from 12-4 for our Beauty Addicts Makeup Event! Reserve your spot for $25, receive an makeup lesson and makeup Application and $25 in products! Call 732-551-2930 Today to Reserve your Spot! 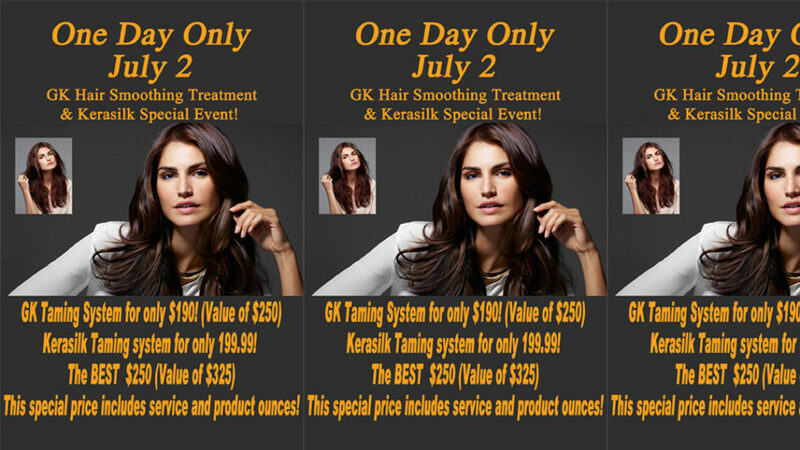 Kerasilk and GK Smoothing ONE DAY event August 24, 2016! 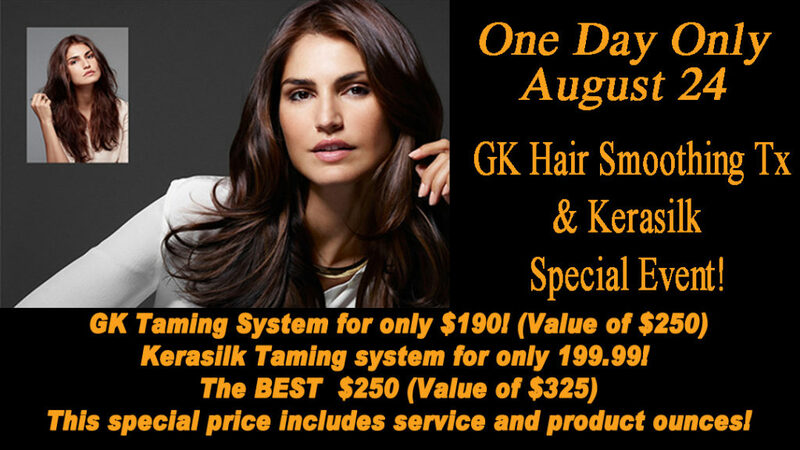 Kerasilk and GK Smoothing ONE DAY event August 24, 2016! Our kerasilk treatment supplies brand new curl structure with soft hair and manageability, while our Global Keratin services provide intense smoothing and control over your stubborn frizz by utilizing the juvexin protein! If you are unsure of which treatment is best for you, book an appointment and speak with our well-educated stylists! Don’t miss out on these discounted prices just in time for the holiday weekend! Hair Taming Event July 2nd One Day Only! Join us for this one day Hair Taming in both locations. Call Aurelio Salon in Howell at 732-303-0052 or 732-551-2930 in Toms River New Jersey for more information about the taming hair event. MZ Wallace Bag FREE with Purchase! Give me an MZ Wallace Bag! 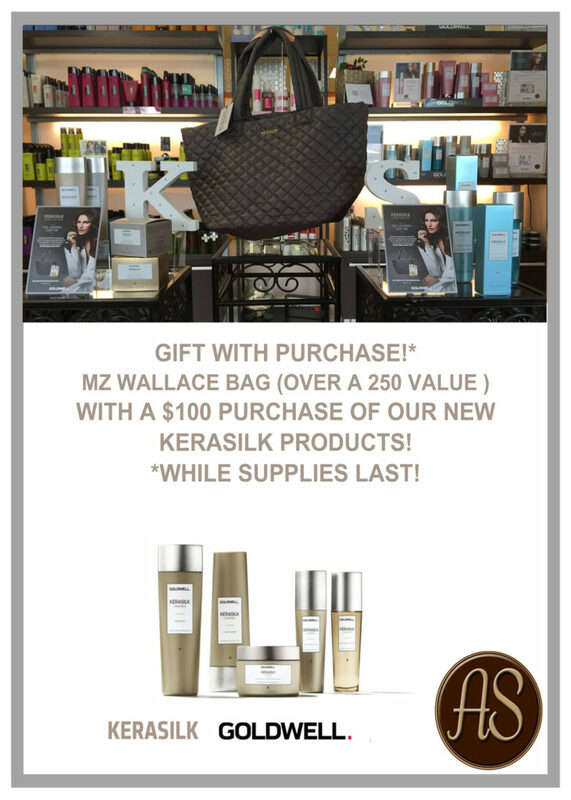 This is a free bag with purchase of $100+ in Kerasilk Luxury Hair Care Products only at Aurelio Salon! Limited supplies! 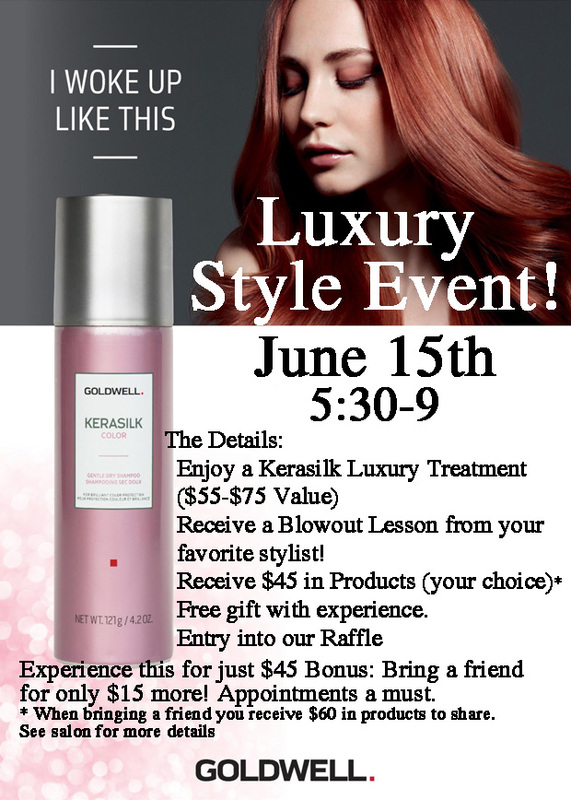 Join us on June 15th for our Very First Kerasilk (A luxury Experience) Event! Kms Shampoo and Conditioner (10oz and 8.5oz) buy 1 get *2nd half off( *2nd item that is qualify for ½ off is the one that is a lesser price). Click here to buy online and Print Gift Cert at Home!